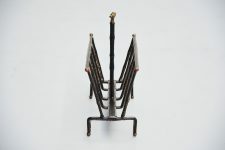 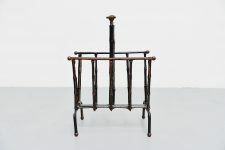 Fantastic shaped original magazine rack designed by Jacques Adnet and manufactured by Ateliers Jacques Adnet, France 1940. 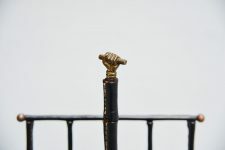 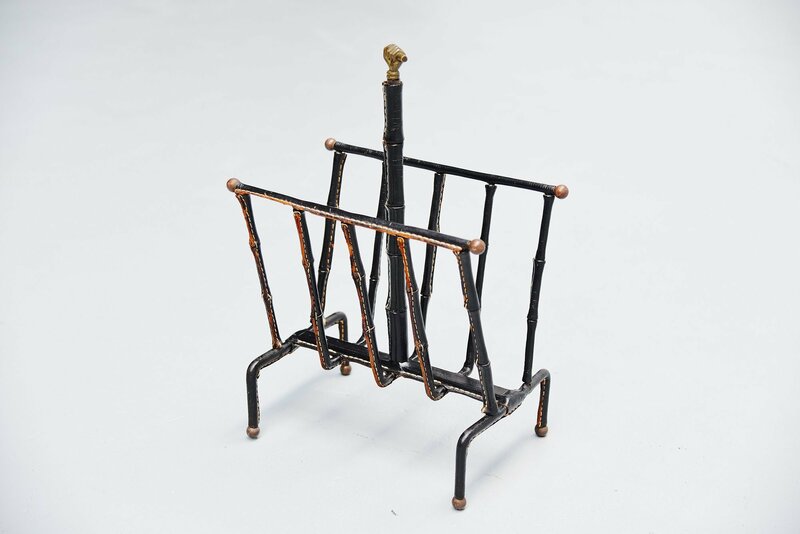 The magazine rack has a solid brass frame, fully covered with Hermes leather and nicely stitched like all most works by Jacques Adnet. 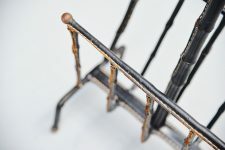 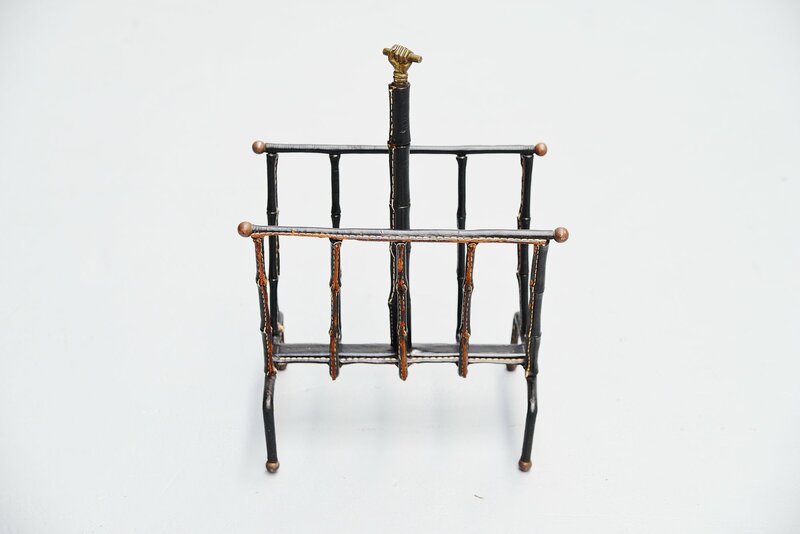 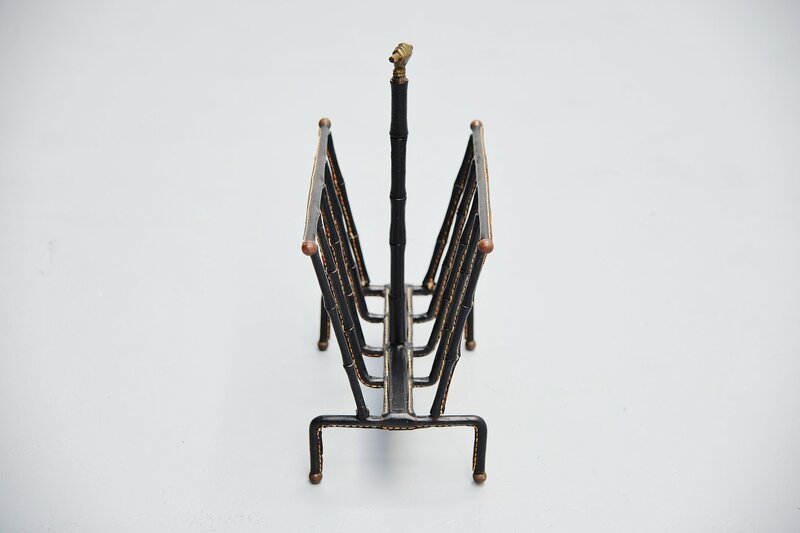 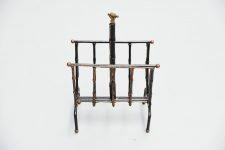 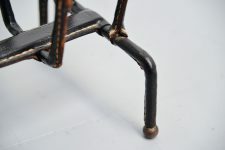 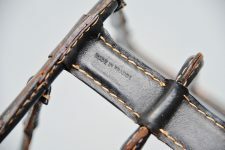 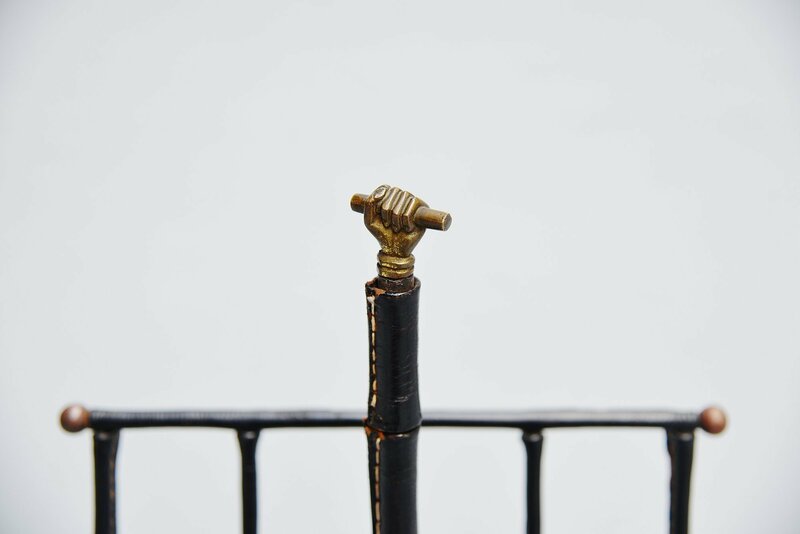 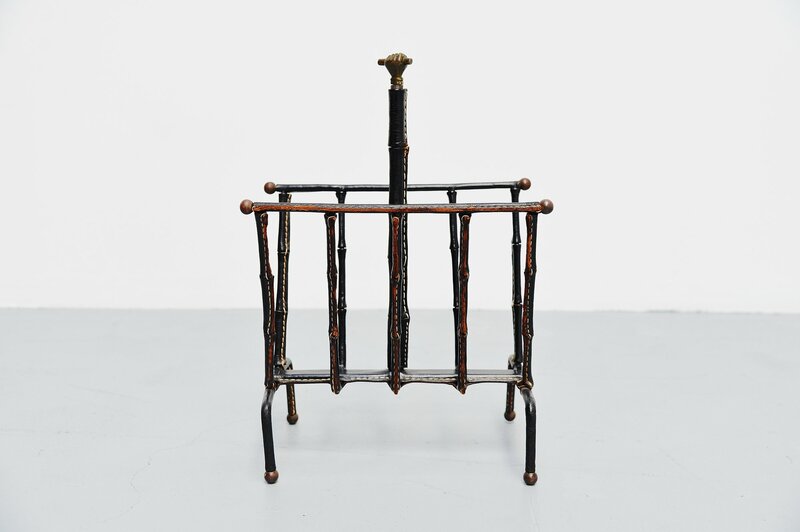 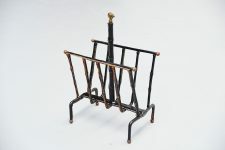 This nice black magazine rack is in original condition and has a nice patina from age and usage.